Well, for starters, successful websites should address 4 distinct areas. If any of these areas is flawed, you risk losing sales. Having said that, here is a list of what I’ve found from experience you need to consider. Shared vs. Dedicated? Each has their pros and cons (for a later post). Make sure you allow for scalability either way. It doesn’t matter what items you have in place and how great the site is if the hosting platform is unreliable. You’ll lose current customers fast and have a hard time attracting new ones. Your server platform must be reliable, fast (provide enough bandwidth during peak times) and easily scalable to allow for company growth. This is one component you’ll need in order to accept credit card transactions. You get this typically through your bank. You can find them on the Internet, but research carefully before you choose. Picking the wrong merchant account provider could make a big difference in how your cash from sales is handled. This enables you to connect from your website to your merchant account in order to process credit cards in real time. There are several good providers out there. I recommend Authorize.net. Payment gateway providers typically charge you a monthly rate based on the amount of transactions that run through the system with a minimum monthly transaction amount for anything under a certain level. Private SSL’s are very inexpensive and there are a number of companies that provide them such as GeoTrust, Thawte, Verisign, Comodo to name a few. Shop around. Pricing can be high on some yet reasonable on others. Do you want to go OpenSource or are you looking for a custom solution. A few keys here. No matter the route you choose, make sure your cart is rich in features and is stable under high load volumes. You want a cart that is flexible enough to adapt to change (you’ll need this for testing what works to cause visitors to buy from you; this is a critical element in achieving higher conversion), solid enough to provide fast response times under peak times, and has the ability to scale as your business grows. Like the hosting I mentioned above, without the right infrastructure in place, it will make no difference how “good” a cart looks, or what other elements are in place to “make it succeed”. In the end you’ll pay dearly for a shop that is “non-reachable” due to technical problems. This is a big one. Like the others, if you have no market strategy, it won’t matter how many other elements are in place; you’ll have a hard time seeing optimal and sustained growth results. Get yourself a good Website Analytics package. Some are free and some cost a bundle. For starters, Google Analytics offers a super tracking system that’s free and provides you with more than enough data (when properly setup) to get your company moving in the right direction. In order to succeed you need to be able to measure how effective your implemented strategies are on your visitors / customers. Website analytics allows you to do just that. Without them you are a sitting duck. You will have no way of knowing where your problems are on your site, how to correct them, or if the direction you are heading is the right one. 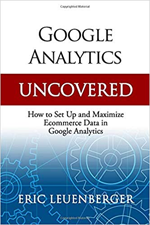 For more on properly setting up Google Analytics, you may want to read my 6 part series called Google Analytics Demystified. What channels will you utilize to generate traffic to your site? Online / Offline? A combination of both? You need to decide this. Determine your target market and plan your advertising strategies accordingly. Put systems in place that will support the demands of customers (they like fast delivery) and will not overtax your internal infrastructure. You’ll make customers happy and gain more if you have processes in place that promote fast and efficient shipping. Likewise, make sure your cart has a method of tracking inventory. Not only is that important for keeping track of your business, but it will ensure you don’t make customers angry by allowing them to buy a product that, after completing the transaction, you have to have to then tell them the item is out of stock. This is a sure way to lose customers. Put systems in place to keep in touch with past customers. Building an ecommerce business often means keeping a “base” of repeat customers coming back for more. As new customers enter the funnel, they build on top of the base that is already there. Combined, the two drive the business toward growth. Here are some helpful links that may assist you in checking the “listing” status of your ISP or mail service provider. There are practically an infinite number of items one could say should be considered when building an ecommerce site. The listing provided in this article is a good start. Do You Make These Mistakes With Your Ecommerce Business? This is an excellent outline of the basic requirements for a full fledged ecommerce portal selling products or services. It’s also importaint to consider the human factors when building any website, be it ecommerce or information based. You need to build trust with your visitors and have them regard you as an expert they can rely. This will make the job of selling your products much easier in the long run. Great overview on starting a ecommerce site. Thank you for your insight.